Planning Permission is usually required if you intend to alter the appearance of your home in any way with an extension, conservatory, roof dormers, for detached structures such as garages or should you wish to change the use or divide part of a building for use as a separate dwelling, however, there are certain proposals that do not* require a formal planning application such as small extensions, garage conversions and loft conversions. We will be able to advise you of the appropriate planning process once we have visited your property to carryout a free consultation. *Subject to the property having PD Rights. There are also other permissions that are required the most common being for Listed Buildings, proposals in Conservation areas, sites with Tree Preservation Orders (TPO’s), Party Wall Agreements, build over or build near sewer agreements. We will make all the relevant applications and representations for Planning on your behalf. If the Local Authority requires the proposal to be revised then we will amend the drawings and re-submit at no extra cost during the application process. The Building Regulations are a set of pre-defined standards ensuring correct building practices and sustainable building techniques. The standards cover structure, fire safety, sound and thermal insulation, ventilation, drainage, flues, Access for the disabled, staircases and glazing. This service can be provided by the Local Authority or a private approved inspector service, we can advise you on the best route for your project. The Building Control department will Check the plans submitted to them making sure that they comply with the regulations. Changes may have to made until they are completely satisfied. 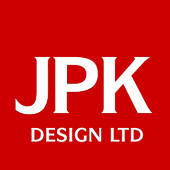 This is known as Full Plans approval and this is what JPK Design will obtain on your behalf. The Building Control department will inspect the works at various stages of the construction, whilst assisting and liaising with the builder and will then issue a Compliance Certificate upon satisfactory completion. Building Regulation fees vary widely for different projects and Local Authorities. Please note that these prices include VAT @ 20% and are intended as a guide only. All statutory fees are subject to change at anytime.